Royal Enfield is taking a major step to boost its export sales. The Chennai based two-wheeler brand and one of the biggest sellers of mid-sized motorcycles globally would form its first wholly-owned subsidiary in the Asia Pacific region, in Thailand. The country would also host Royal Enfield’s first assembly plant outside of India. The new plant would begin operations by the second half of 2019 (June 2019). 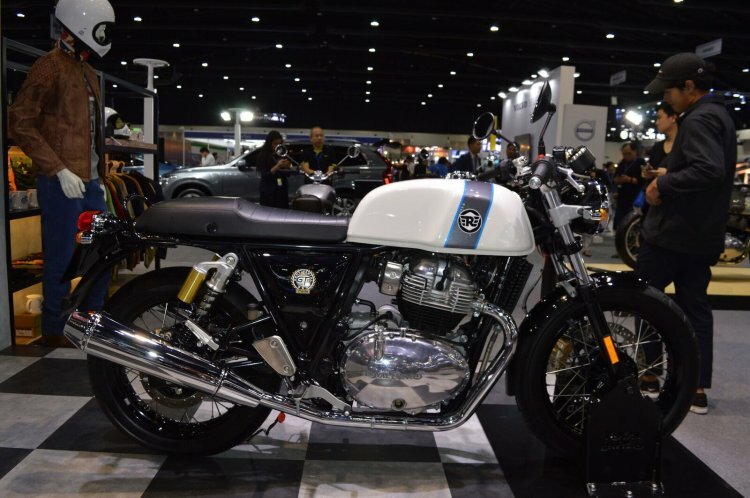 The Royal Enfield Interceptor 650 (pictured) has been priced at THB 2,13,000 (INR 4.52 lakh), while the Continental GT 650 could be purchased for THB 2,21,000 (INR 4.69 lakh) - prices for the standard models. Ever since we commenced sales in Thailand three years ago, we have been absolutely delighted by the love we’ve received from riders here. Our customers in Thailand have discovered that our modern classics are brilliant for long rides on the highway while also being perfect to commute on in heavy traffic in the city. We are committed to focusing our energies on becoming part of the fabric of this country’s rich motorcycling culture, and our decision to start assembling our motorcycles in Thailand is a sign of Royal Enfield’s long-term commitment and growing confidence in the market. 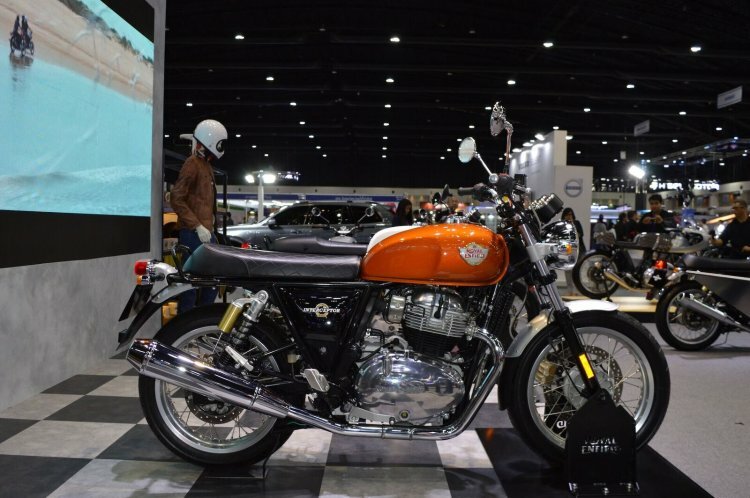 The Royal Enfield 650 Twins were launched in Thailand in December last year. The Interceptor 650 and Continental GT 650 have received over 700 bookings in Thailand, with over 100 motorcycles delivered till date. The Interceptor 650 has won the ‘Best Modern Classic Middle-Weight’ award at the Thailand Bike of the Year 2019 awards. Thailand has become Royal Enfield’s third home after its origins in UK and success in India. The initial success of the 650 Twins in Thailand has proven that Royal Enfield is well poised to fill the gap in the mid-size segment. With a massive segment of commuters ready to upgrade and a robust long-distance, leisure riding culture in the country, Thailand offers huge headroom for growth for Royal Enfield. We believe that localising our operations in Thailand will allow us to serve our customers at a closer and more intimate level. While Royal Enfield has suffered from negative year-on-year sales for four consecutive months in the domestic markets, exports have shown promise since the launch of the 650 Twins. Apart from setting up the CKD assembly line, the company aims to expand the dealer network in the country. Vimal Sumbly, Head Business, APAC Region, Royal Enfield said that the two-wheeler brand has an aggressive plan to expand its reach to about 15 standalone dealers and 25 authorised service centres by March 2020. The upcoming dealerships and service centres would come up in Bangkok and the Greater Bangkok area, Phuket, Pattaya and Chiang Mai.